According to Wikipedia Yosemite is “OS X Yosemite (version 10.10) is the eleventh major release of OS X, Apple Inc.’s desktop and server operating system for Macintosh computers”. It is suggested to keep the /Applications/ directory as clean as possible, and having a separate directory for your personal apps lets you do that easily. 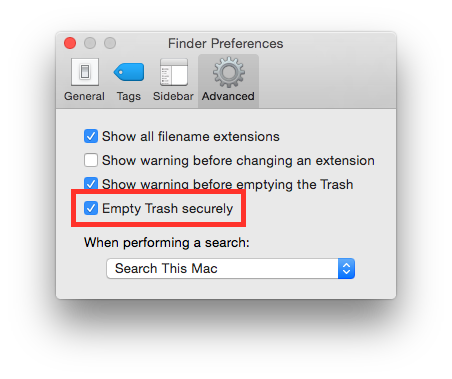 Just create a folder named “Applications” in your home directory (or where you like). 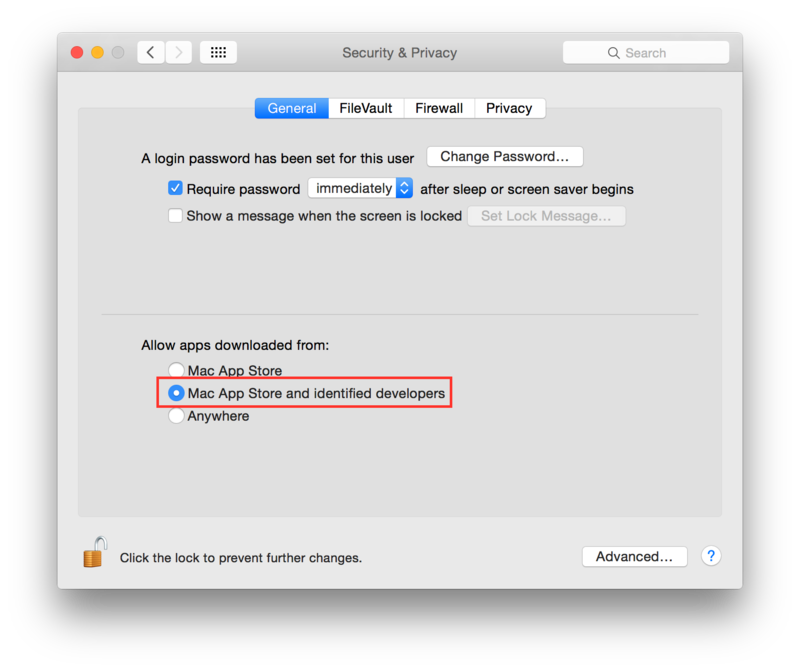 Set “Allow apps download from” to “Mac App Store and identified developers”. 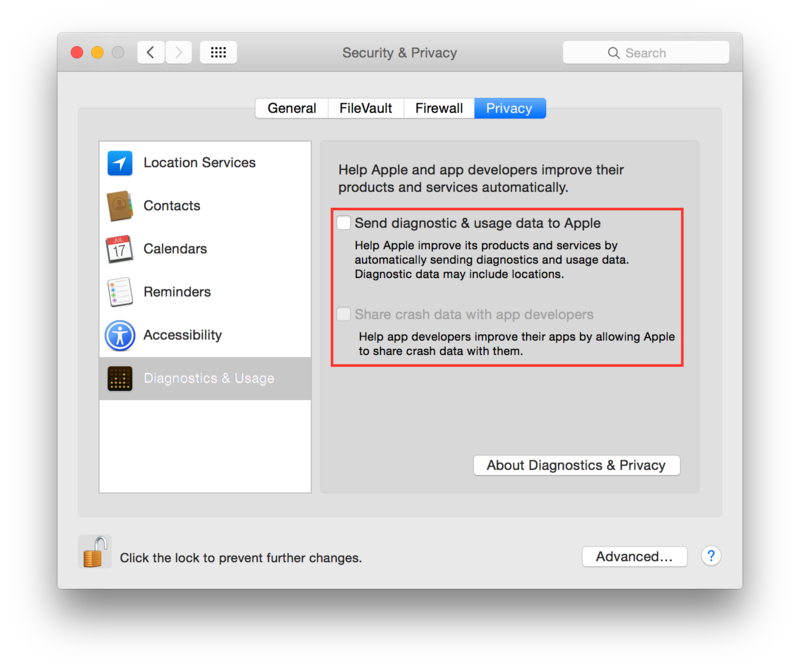 Uncheck “Send diagnostic & usage data to Apple”. 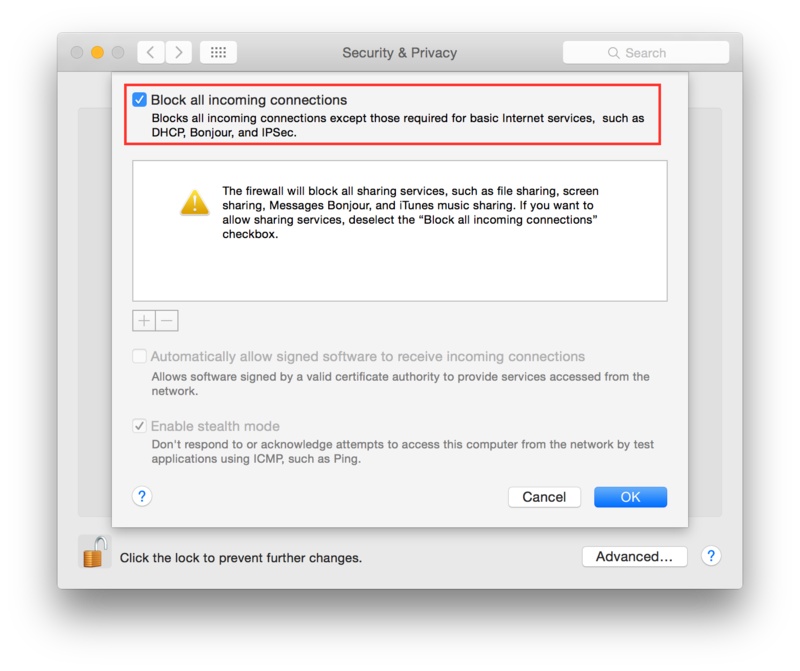 Uncheck “Share crash data with app developers”. 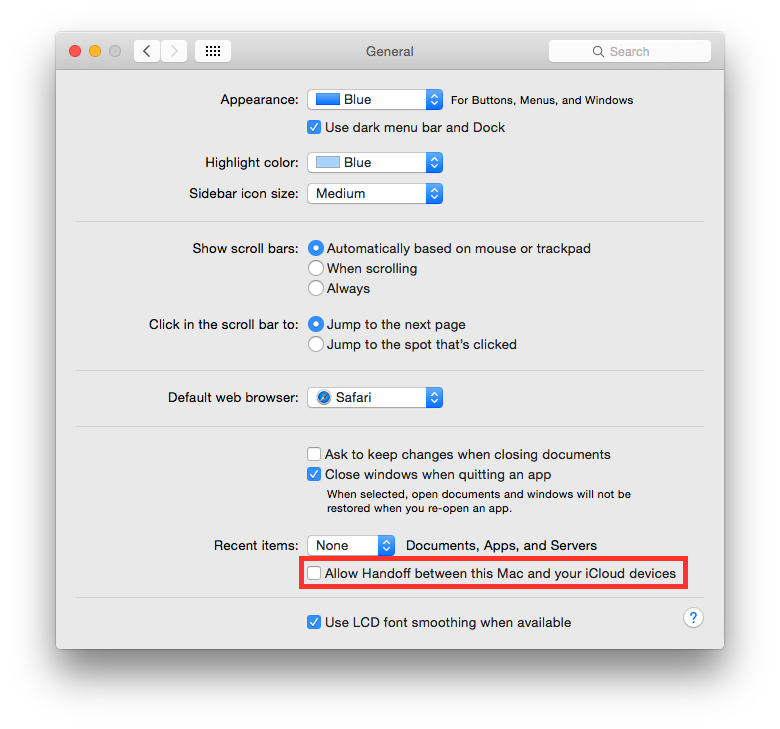 Uncheck “Allow Handoff between this Mac and your iCloud devices”. Set “Recent items” to “None”. 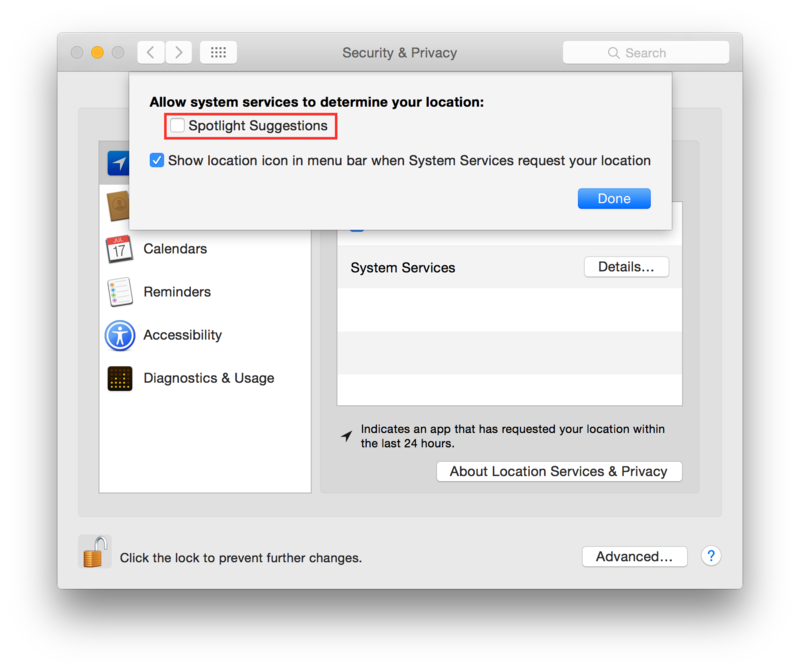 Select “System Services” and click “Details…”. Uncheck “Spotlight Suggestions”. 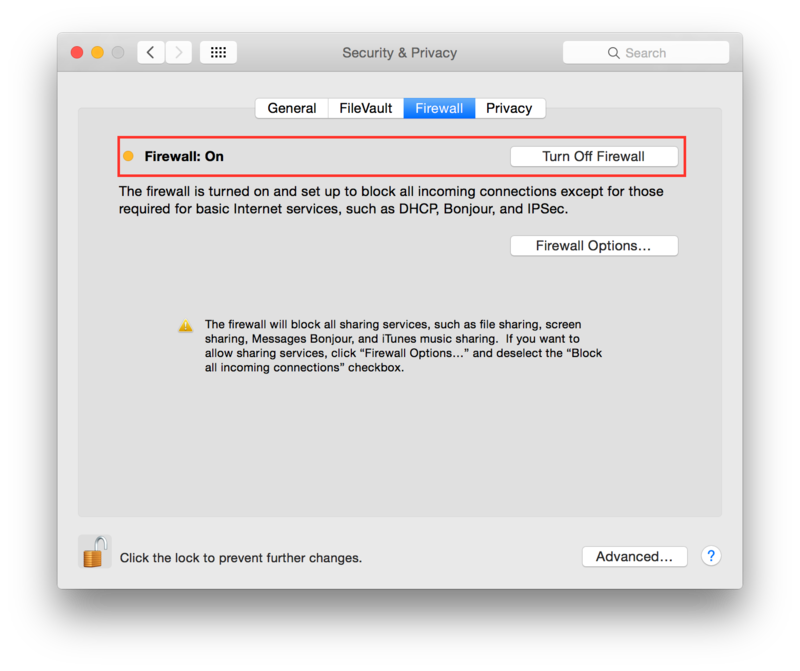 Click on “Turn On Firewall”. Now click on “Firewall options”, a new panel will appear. Click on “Block all incoming connections”. 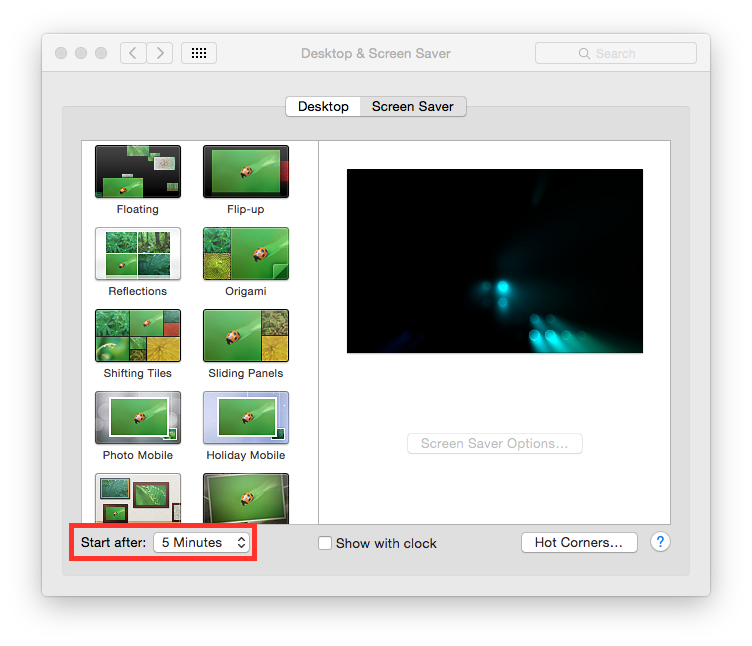 Set “Start after” to “5 Minutes”. 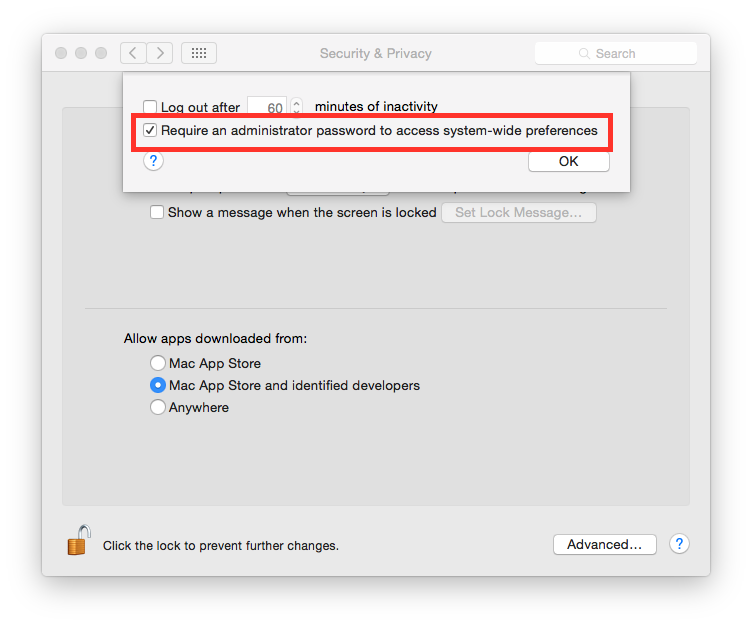 Check “Require an administrator password to access system-wide preferences”. Set “Require password immediately after sleep or screen saver begins”. 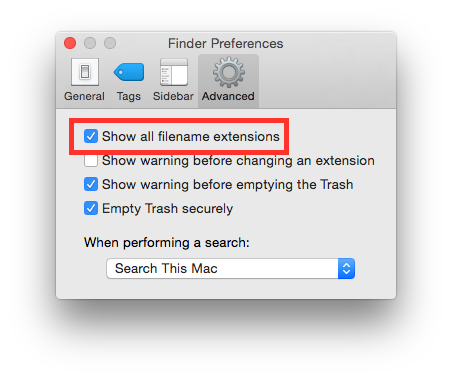 Check “Show all filename extensions”. It is suggested to use different accounts for administration and daily activities. Create an account with admin privileges for special tasks and maintenance and a normal user for your daily use.